This versatile table is as much a work of art as it is a functional table. 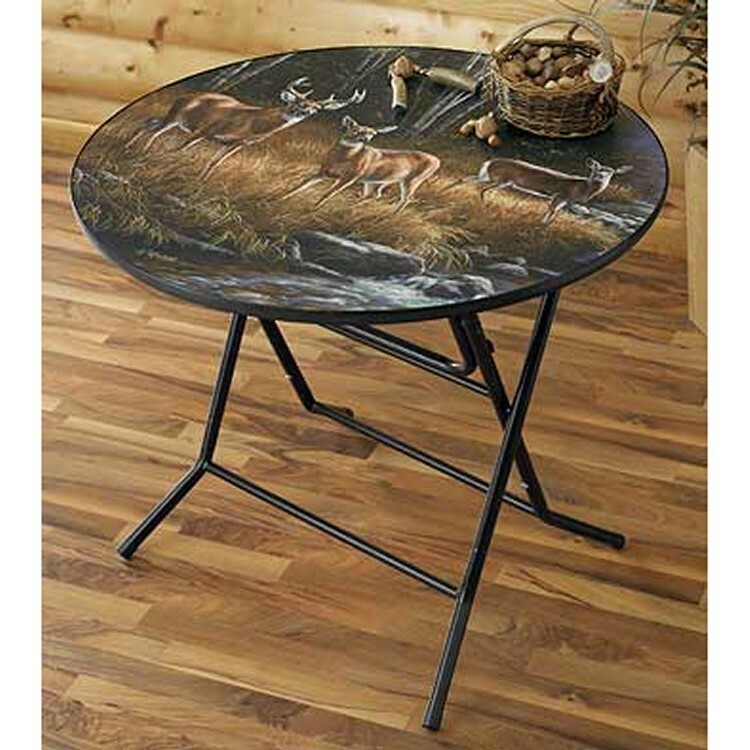 The October Mist-Deer Folding Table featuring the art work of Rosemary Millette exquisitely detailed and too beautiful to hide. The top is a durable UV polycarbonate laminate with a non-glare finish. 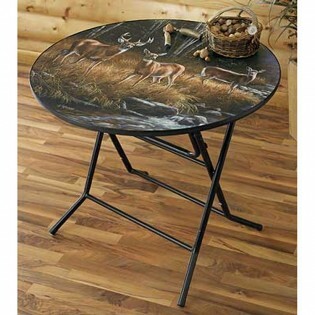 This versatile table is as much a work of art as it is a functional table. 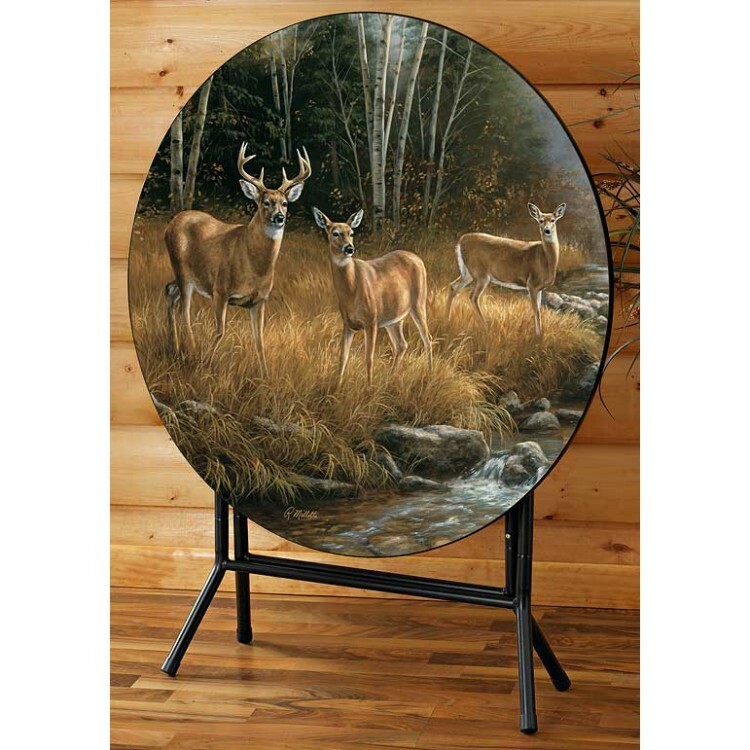 The October Mist-Deer Folding Table featuring the art work of Rosemary Millette exquisitely detailed and too beautiful to hide. The top is a durable UV polycarbonate laminate with a non-glare finish. Base is tubular steel for maximum stability, folds to only 9" deep.